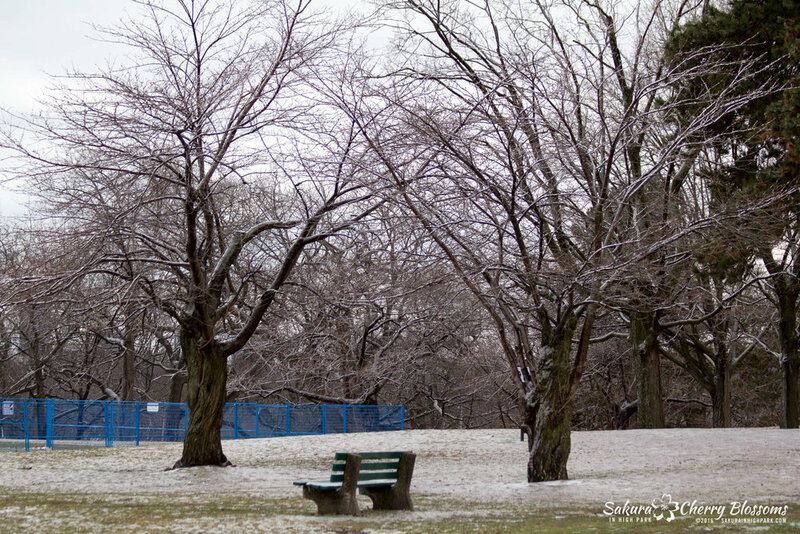 Sakura Watch, March 25, 2016 – Trees survive the ice storm of 2016 that rained down freezing rain throughout Toronto and the GTA just before the Easter long weekend. 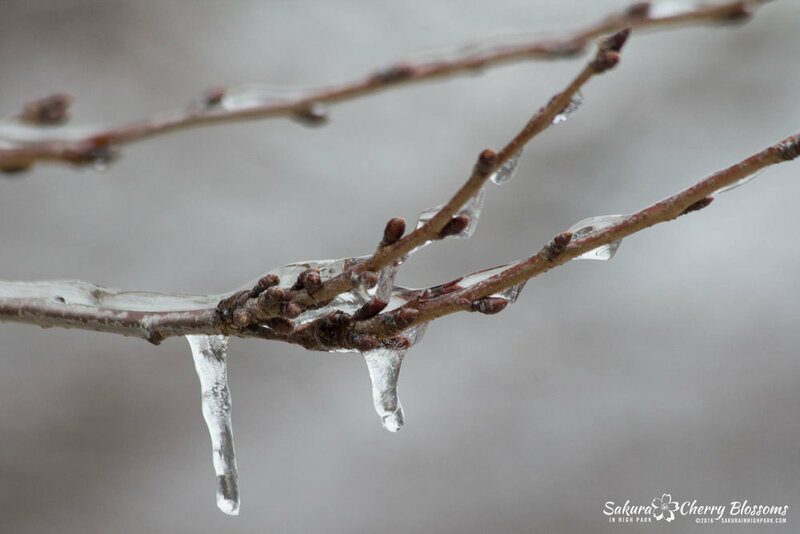 I ventured out to have a look at survey the potential effect the ice may have had on the sakura cherry blossom trees in the park and am happy to say there was hardly any damage done at all! Since the buds are all still in the early stages and completely closed, they were able to protect the precious flower petal blooms patiently waiting inside for sunnier and warmer days to come. The photos in the gallery above show an ethereal beauty to the trees as they shimmer as the ice catches the light and give the trees a unique look we seldom see this time of year. 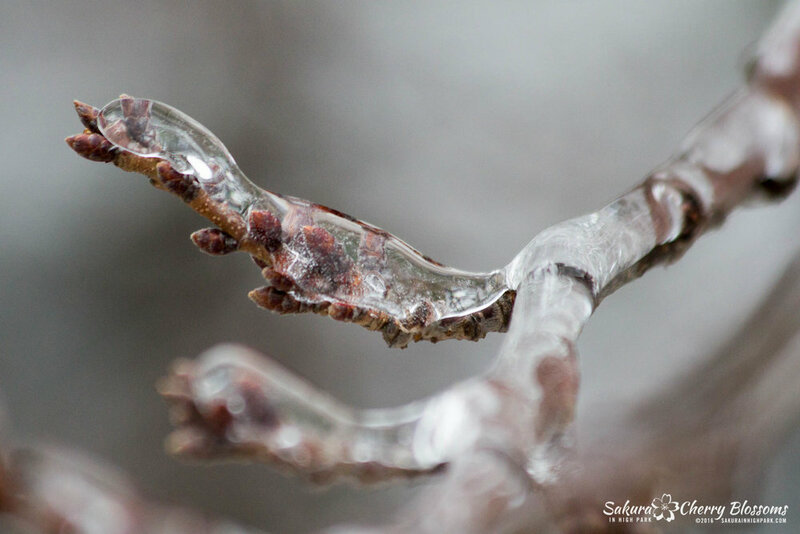 Close-up photos will show how most of the ice storm's freezing rain actually rested on top of the buds and branches - almost like an ice blanket - which only further helped to keep the buds intact and safe from any real damage. 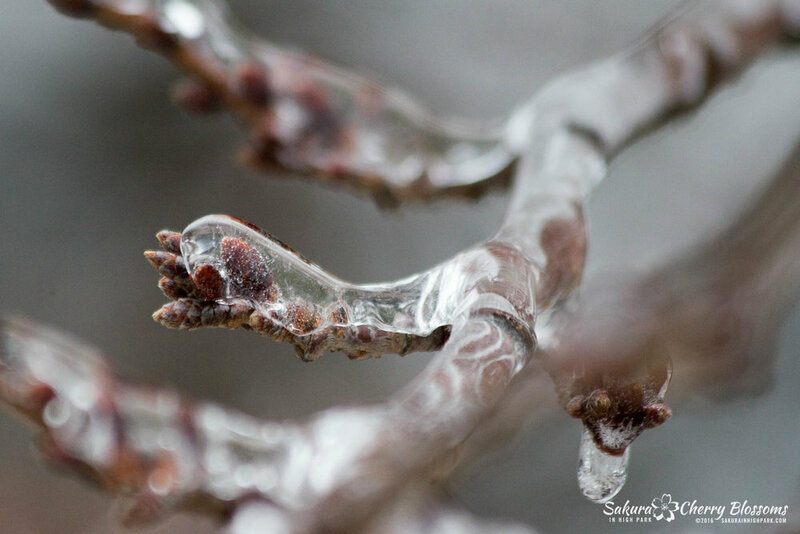 Warmer weather is on the way, and the ice has already begun to melt - I tried capturing a series of photos depicted some of the melting ice as it dripped from one of the blossom branches. With this trip, I believe I can begin predicting when we can start seeing the cherry blossom blooms for 2016. The shapes of the buds and look do indicate they are in still in stage 1, but a few appear to be getting ready for stage 2 which if correct would place them on the path of coming out towards the end of April. Exactly when is still a bit off to say, but if the weather can cooperate and the sakura buds continue to develop, then we should be able to enjoy them in about a month from now. Stay tuned for more updated to follow in the weeks ahead AND wishing everyone a HAPPY EASTER WEEKEND!